It's winter time, so R and I are always looking for something hot to eat. So when A suggested Boiling Point, we were more than happy to try it. The name itself was already convenince enough, so off we went. I really like teppanyaki, because the food is prepare fresh right in front of your eyes, so you know where is has been from grill to plate, plus sometime you get a good show. 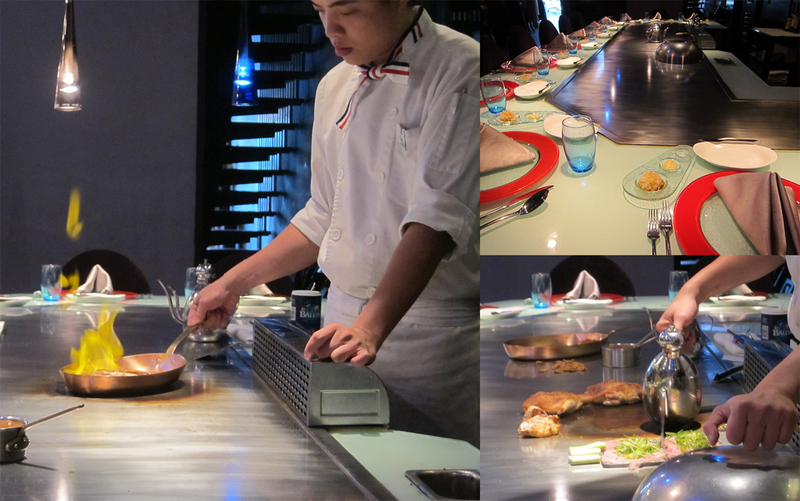 Therefore teppanyaki was definitely once again on our list for recent trip to Taiwan. Chamonix is a chain restaurant owned by Wang Ping enterprise. They pride themselves in service and food quality. I must say, I was impressed.